Magic Carpet Cleaning provides wide range of cleaning services in Clapham SW4 such as stain removal, upholstery, rug and carpet cleaning at a very affordable price. Whether you need your domestic or commercial property cleaned small business owner we will clean your property like you never seen anyone did it before – the fastest, the cheapest, the best way! 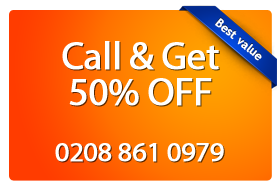 Call 0208 861 0979 Now and book a cleaning or use our contact form below to schedule service. Ask for our experts in purity NOW – dial our number for Clapham 0208 861 0979! You will be enchanted by the results…and your property will enchant everybody! The carpet manufacturers, as well as our colleagues dealing with professional cleaning recommend treatment with steam of the carpets in your homes and offices. The Steam Carpet Cleaning method uses professional equipment to apply preparations with hot water on dirty surfaces. Then, they are extracted from the surface together with the stains and dirt by vacuum. To achieve amazing results, people need to know how to use the equipment and what the type of the pollution is. We recommend this treatment for allergic people, because it destroys all microbes on the treated surfaces. This approach is preferred by families with children and pets. For cleaning of large commercial areas and business buildings, you can try Dry Carpet Cleaning. The dry compound cleaning method is the following: powder substance is injected in the carpet which is then sucked out with vacuum. All the spots and soil disappear from the rugs. Non-use of water allows your visitors to continue on their way immediately after cleaning. This method protects delicate fabrics from discoloration and mold. Our professionals use only biodegradable materials that do not harm the environment. If there are stubborn blemishes from coffee, traces of pet urine, wine, food, chewing gum, chocolate, etc. in your home, allow us to clean up to 100% for you. We have certified employees who have extensive experience working with products of any origin – acid, alkaloids, etc. They clean natural and artificial materials using professional equipment and the most effective methods known to date. Magic Carpet Cleaning meets the high demands of its customers in Clpham SW4 using all available resources – certified and well trained staff, professional equipment and 100% effective and safe detergents. Join the satisfied customers who trusted us by calling 0208 861 0979.